Warlord Games is absolutely delighted to have secured the licence to produce a miniatures game based on the BBC's enormously popular TV series, Doctor Who (back on BBC One on September 19th!). So delighted we might just have a celebratory jelly baby. As lifelong Doctor Who fans ourselves, we are extremely pleased to have the chance to bring this iconic series to the tabletop with a game system you all know and love as well as the official range of miniatures to complement it. The licence covers not just the latest series of Doctor Who but encompasses all of the Doctors, their companions and their foes. So, expect to see Sea Devils as much as Weeping Angels, Leela as much as Martha Jones, and a long, brightly coloured scarf as much as a fez (fezzes are cool, by the way...). Really interested to see how this develops. 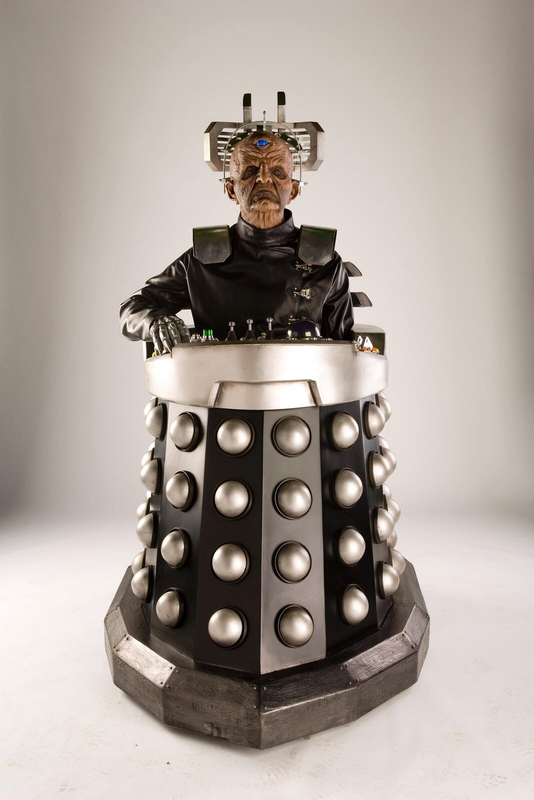 Can see myself building a Davros-led force of Daleks!!!! Daleks! - You power gamer. The Daleks replied "This isn't war, this is pest control". I think I'll get a weeping angels army. Just close your eyes while I move. I wiiiiiil taaaaaaake the ice waaaaaaarioooooors. Cow they take five minutes to get a sentence out, plus no one really knows whether that is power armour or a tortoise shell? Although I am totally out unless Classic is involved. You 2005 people, go feth yourselves. Please sign your name if you are posting as "anonymous"
You are right Neil, Cybermen are pest. Ohhhhh Dalek models hee hee hee hee hee hee.